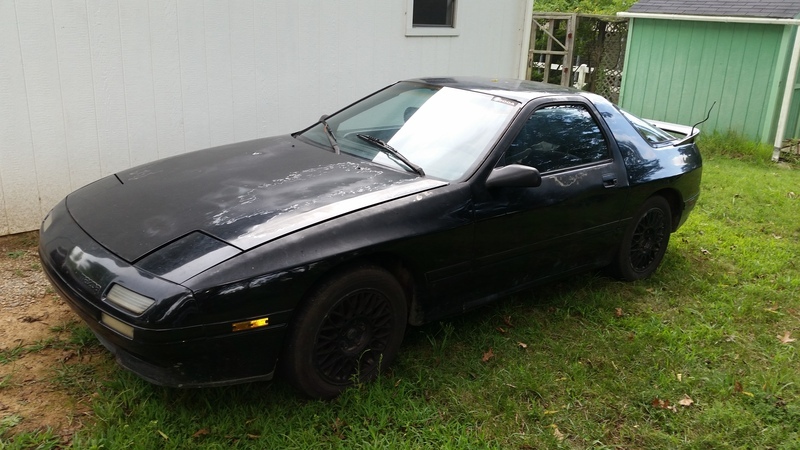 Well, here she is, my new FC RX7, in need of paint and general TLC, but a good body. 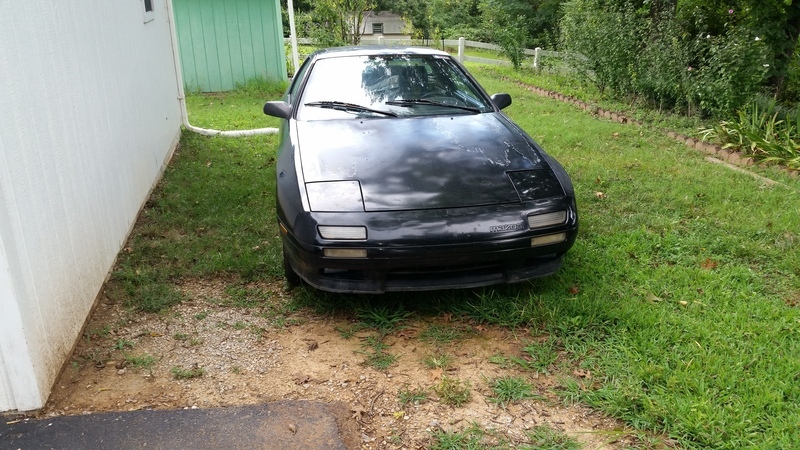 I bought her aw a shell with no engine/transmission so I can put whatever I want in it. Option 1, complete drivetrain....3.7l(Duratec37) V6 engine and MT82 6 speed trans from 2013 mustang v6. It weighs in a shade over 300lbs and makes 305HP, gets 31mpg in the mustang. 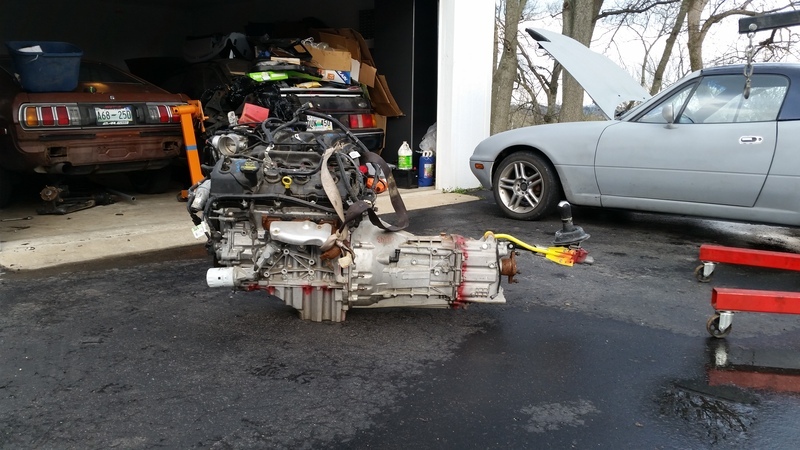 This would be weight neutral compared to the 13b...lighter engine and heavier trans...its a wash. 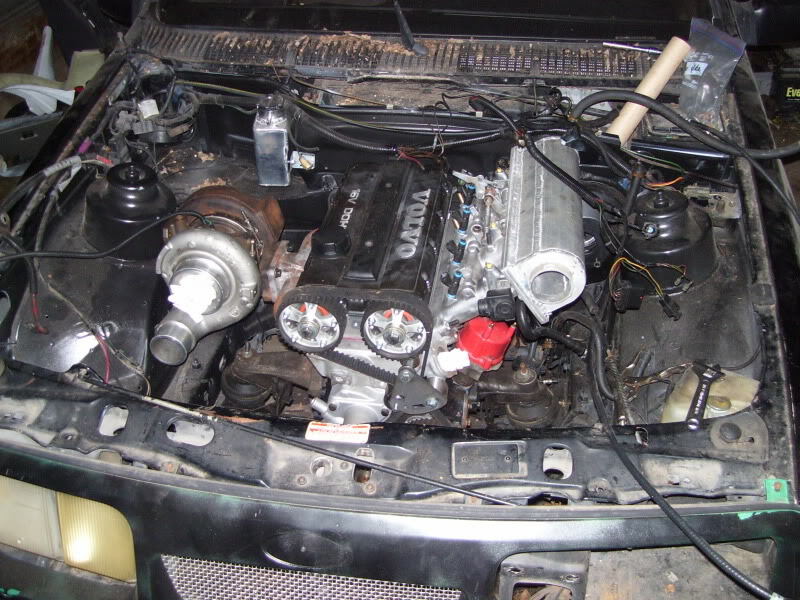 This believe it or not is a Ford engine...2.3 turbo block. I modified a Volvo 16v B234f head to bolt up....slapped a big holset turbo on it...and using BMW ITBs on the intake side. The drivetrain is 95% complete(sitting in my XR for the moment) backed up by a world class T5 transmission. This engine is built and capable of 500HP....a swap kit for a 2.3t will allow it to bolt right in. The downside is this drivetrain is marginally heavier than the 13b...from what I can figure the car will gain 30lbs. Those are the drivetrains I have ready to go. 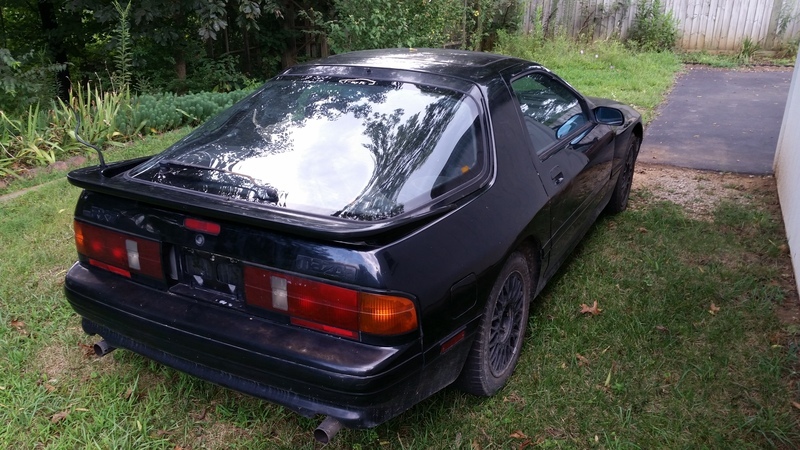 I also have an incomplete chrysler 2.4l turbo RWD drivetrain(think SRT4) that lacks just a trans and a few other pieces, however it would come in 50lbs under the 13b in weight...power level I would probably build to about 350 or 400 on that one. Or I could put something else in there...not set on any of those drivetrains, considering the 3.7 is currently slated for the Miata(though would fit far better in the FC) and the Ford 2.3t is currently sitting in the Xr4Ti(though I have been considering selling that shell for awhile now). Let me know what you think...or suggestions for other ideas. Quick Reply: Help me decide on a drivetrain.